​Gonzalo Higuain has completed his loan move to Chelsea from Juventus, with a view to a permanent deal at the end of the season. The Argentine has been on loan at AC Milan since the start of the 2018/19 season, as part of the deal that took Leonardo Bonucci back to Turin following a tumultuous year in Milan, after the Old Lady secured the signing of Cristiano Ronaldo over the summer. 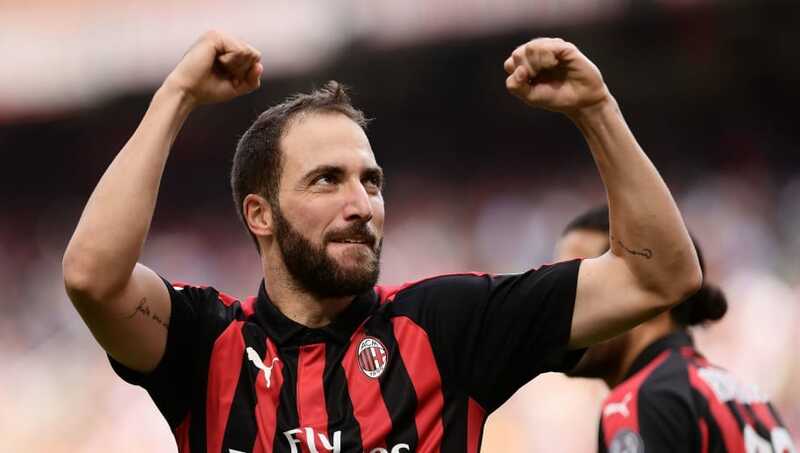 Higuain made a good start to his career with the Rossoneri, scoring five goals in his first seven Serie A games, but quickly fell out with manager Gennaro Gattuso, as the Milanese side struggled through the back end of the year, winning just three league games from November. And, as confirmed by the club, ​​Higuain​ has duly now joined his former boss Maurizio Sarri in west London, looking to revive his goalscoring exploits, after scoring just once since in the league since that initial burst. "When the opportunity to join Chelsea presented itself I had to take it. It’s a team I’ve always liked that has a lot of history, a wonderful stadium and they play in the Premier League, a league I’ve always wanted to play in. The striker should have far more faith in Sarri than he did in Gattuso, after breaking the single season Serie A scoring record under the 60-year-old at Napoli in 2015/16, netting 36 domestic goals. The 31-year-old will join ​Chelsea on an initial loan deal until the end of the season, whereupon it is expected he will be bought outright, and sign for an additional 12 months. He is set to replace the outbound ​Alvaro Morata, who's move to Atletico Madrid should now go ahead following the conclusion of this deal. Juventus have also released a ​statement confirming the ammendment to Higuain's loan. In it, they declare: "The agreement with AC Milan S.p.A. for the temporary transfer of the player Gerardo Gonzalo Higuain has been terminated and, at the same, the agreement with Chelsea Football Club Ltd for the loan, until 30 June 2019, of the player has been finalized. "These operations do not generate any significant economic effects in the current financial year. The agreement also grants to Chelsea FC the options to extend the duration of the loan until 30 June 2020, for a consideration of €18 million to be paid in 2019/2020 financial year, or to acquire the registration rights of the player on a permanent basis for €36 million to be paid in two financial years."